» Other News » Diwali light fantastic! 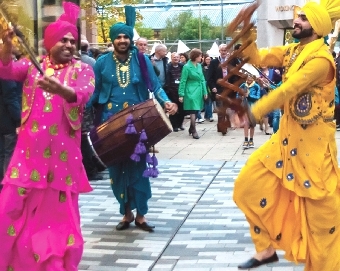 AS darkness descended on Woking on Thursday, the town centre came alive with a blaze of brilliant colour in celebration of Diwali, the Festival of Lights. Visitors assembled in Gloucester Square en masse to join in the ancient Hindu carnival that signifies the victory of light over darkness, knowledge over ignorance, good over evil, and hope over despair. 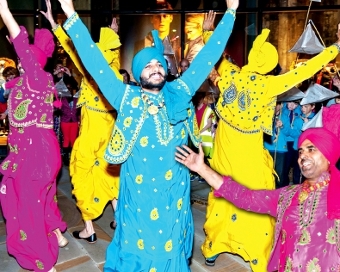 Led by traditional Bhangra Punjabi performers Sukhuir, Sukh, Goldy, Albert and Simran, local schools and community groups were close behind parading their home-made lanterns. Families followed the procession through the town centre, around the Peacocks Shopping Centre, the old bandstand and the new undercover market, ending up in Crown Square, where the celebrations continued. 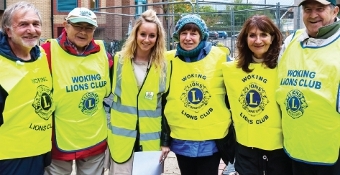 Thanks to the organisers: Dr Aman Gupta, the council’s Event Co-ordinator Tara Stevenson, and Woking Lions volunteer marshalls, the event ran like clockwork, and everyone had a terrific time. The borough’s Mayor and Mayoress, Tony and Mary Branagan, joined in the Diwali celebrations, as did Woking MP Jonathan Lord and his daughter Katie. 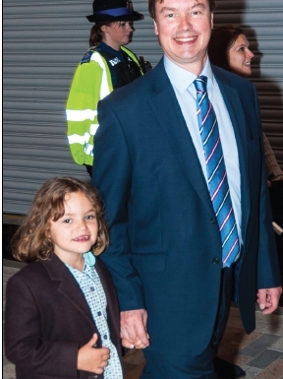 Mr Lord said: “It was wonderful to join the Diwali procession and celebrations. “The dancers were fantastic, and children in particular enjoyed it and got into the spirit of things with their lanterns and dancing. 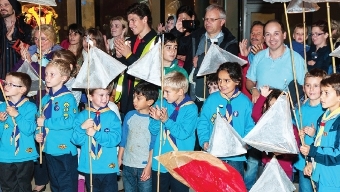 Beavers from 7th Woking Scouts and the 1st St Johns Scouts were among the groups, as were Kingfield School pupils and 1st Knaphill Scout Group cubs. Diwali is the most popular of all South Asian festivals, and is celebrated by Jains, Sikhs and Hindus.